Who says sustainability and beautiful design can’t be combined? MYOMY is the prime example of a company who delivers beautiful designer bags that are fair-trade produced, as stated by the jury. 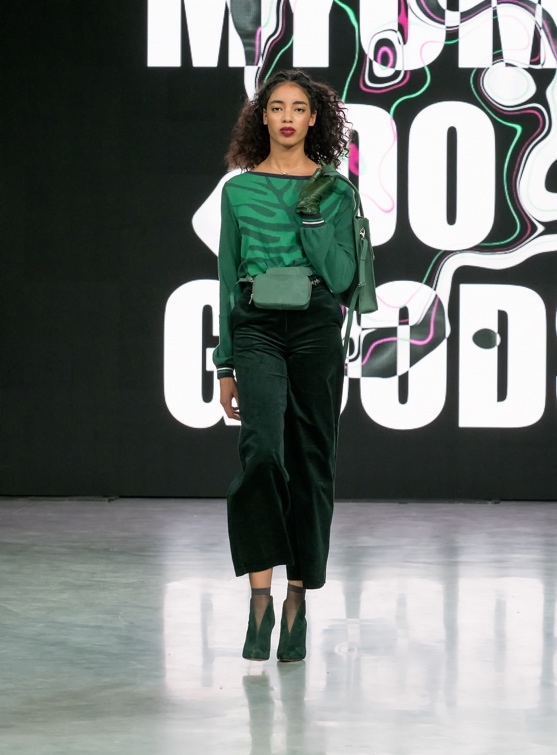 October 10, Dutch sustainability day, MYOMY do goods presented her fair-trade iconic designer bags on the catwalk during the Dutch Sustainable Fashion Week. We were one of the nominees for the ‘Green Fashion Talent Award’. The award show was founded to stimulate sustainability within the fashion industry, by supporting talented and forward-thinking brands. Based on several sustainability and fashion criteria, a professional jury declared us as the winner of the ‘Green Fashion Talent Award 2018’. 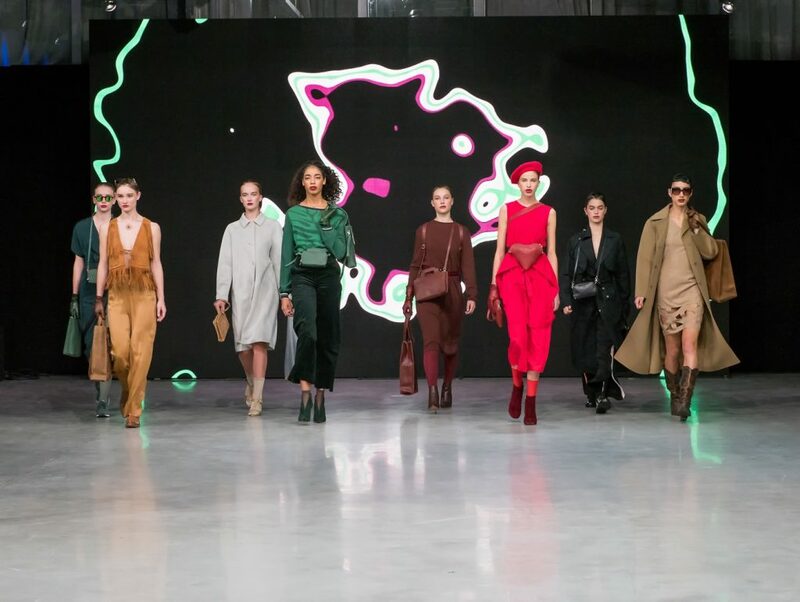 The Green Fashion Talent Award is brought to life to stimulate the public and other fashion companies to embrace more sustainable solutions. The jury decided to focus on the role that MYOMY has on the entire fashion industry. According to the jury MYOMY is clearly involved in ecological, social and financial sustainability. For example, the fact that we explore new materials and increase awareness of the consumers about sustainability, was convincing for the jury. Moreover, MYOMY has proven that a sustainable fashion company is able to grow. Together with our community we are able to really make a change. We are honoured and grateful for everyone who helped us over the past years. We would also like to thank every proud owner of a MYOMY bag (or maybe you are thinking about buying one). On the catwalk, we choose to show our very first iconic design, MY PAPER BAG. Fun fact: this is the bag from our colleague who works at MYOMY from the very beginning. Also the newest Winter/Christmas collection appeared with new colours such as, hunter forest green. This collection is available now both in stores and online. Last but not least, we couldn’t resist to showed a sneak peak of the Spring Summer 2019 collection. Let’s introduce you to the MY LOVE BAG, a lovely new best friend to carry close to your heart. Which iconic bag was your favourite on the catwalk? Watch the looks in this video. Did you know that this bas is ten years old? This is the bag where it all started, the MY PAPER BAG Shorthandle. Proves that a bags beauty comes when the years pass. Timeless and fashionable at the same time! Do you need to carry a lot of stuff and still want to look fashionable? The MY PAPER BAG XL is your solution. One of our personal must-haves. Who says you can’t wear more bags? The Autumn Winter colour, rambler bordeaux, is stealing the spotlights during the show. Why choose between MY CARRY BAG Mini or MY PAPER BAG Long handle, carry both. Black is never out of season. The MY CARRY BAG handbag and the MY BLACK BAG boxy were shown at the catwalk in the colour hunter waxy black. The waxy finish on the smooth hunter leather gives the material that extra silky shine. Let’s introduce you to MY PAPER BAG Handy, MY BLACK BAG Boxy and MY CARRY BAG Handbag. Now available in the new Winter Christmas colour, Hunter forest green. A colour that reminds our team of forests and Christmas trees. It is not only a beautiful colour to see, it is also fashionable! Our brand is testing new sustainable materials that we can add to our collections. This bag is made from MuSkin leather and still a prototype. The newest MY LOVE BAG will be available in the Spring Summer 2019 collection. Stay tuned, follow our blog, Facebook and Instagram, this way we keep you up to date and won’t miss any exclusive details about our iconic bags.